An Arctic guide witnesses the longest-known polar bear dive, but says the feat was an act of desperation made necessary by shrinking sea ice. It was a record-breaking act of desperation. One that is awe-inspiring but could also show the dramatic effect of retreating ice in the Arctic. Rinie van Meurs is a veteran Arctic guide. 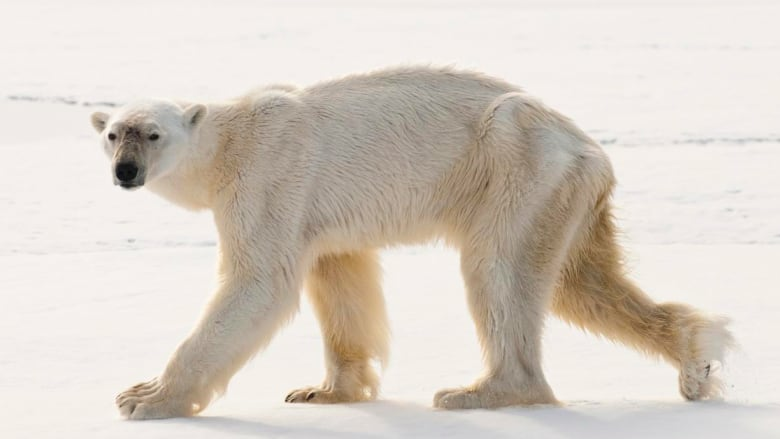 Last year, he was leading a family on a private expedition near the Svalbard archipelago in northern Norway, when he spotted a polar bear. He quickly positioned and parked his boat up wind of the bear. He hoped the animal would pick up the scent and approach the boat so the family could take a closer look. "He came closer and then at some distance he saw three bearded seals on the edge of a large ice flow behind us," van Meurs tells As It Happens guest host Peter Armstrong. When the bear saw the seals he changed course. He dipped into the water and started to stalk the unsuspecting prey. But van Meurs was confused. They were in an expansive pool of open water. "Normally they would come up for air and use ice flows to cover themselves to take another bearing of the seal and then dive again or keep stalking like a crocodile behind that ice but in this case there was nothing." As van Meurs explains, "I was expecting him to emerge any second for air and then the seals would be disturbed...and the whole stalk would be a failure." "Suddenly he emerged out of the water...the seal got away but it was very, very close." Knowing that he had witnessed unusual behavior van Meurs reviewed the video and confirmed the bear had been underwater for a total of 3 minutes and 10 seconds. He contacted renowned Canadian biologist and polar bear researcher, Ian Stirling, who told him that the dive was a record breaker. According to Stirling, the previous record for a sustained underwater dive was 72 seconds. "Ian did a very interesting paper...it was promptly accepted by Polar Biology," van Meurs explains. While van Meurs is clearly thrilled to have witnessed the record-breaking event he is well aware of the sobering reality it exposes. He says the bear was "very, very, skinny" and that while "they might be able to invent local strategies to make a living or to be pushed to the limit with diving, swimming, walking and fasting in order to survive...at some point we are afraid they are going to lose." He fears the record dive shows that the bear is adapting to a new environment caused by climate change. 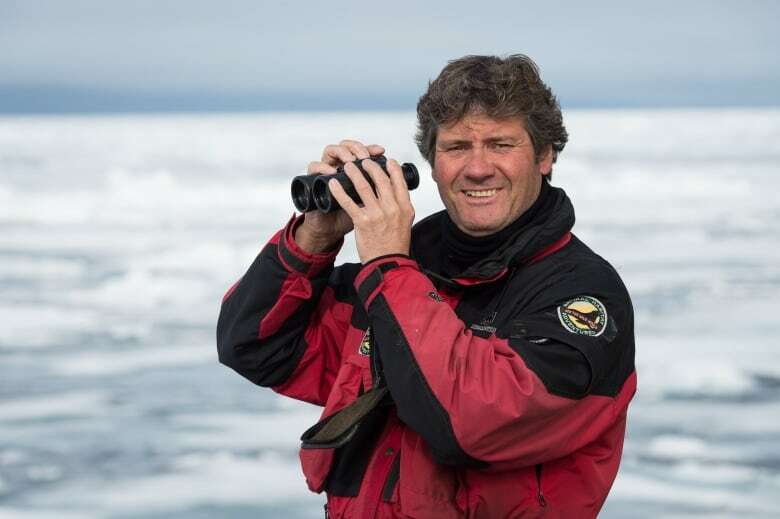 Van Meurs adds bluntly "after 27 years working, I have seen clearly changes in the sea ice. I don't need to see the NASA records and graphs and all that."